Motor vehicle collisions (MVC), usually result in injuries to the neck and upper back. However, there are often other complaints that can occur immediately or after a delayed time frame. The mechanism of injury or, “How did the accident happen?” is very important to discuss in detail. For example, a low-speed crash such as 5-10 mph may not result in much damage to the car. However, when this occurs, the contents inside the vehicle are jostled and thrown about more than damage to the car reflects. This difference is because the impact was too slow to dent or crush the metal and the energy of the crash was not absorbed but rather, transferred to the contents inside the car – that is, the passengers. Another whiplash injuring cause might be a rollover accident. If a person is suspended upside down in the vehicle, an injury can occur from the seat belt, from falling from the seat upon releasing of the seat belt, or cuts and scrapes from broken glass, and so on. Many people involved in motor vehicle accidents are initially in “shock” and may not realize they are hurt until hours or days later. Typically it is not until a person rises the next morning with a significant increase in pain intensity that they would seek medical attention. In the emergency room medications are often prescribed for the short-term treatment of the pain symptoms. Unfortunately, within the initial several days to a week, gradual increases of pain and other symptoms such as headaches, dizziness, “foggy thinking,” and loss of appetite due to the high pain intensity may occur. At this point, this is where the pain relief driven cycle of going for higher doses of pain medication occurs. Although the pain medication can temporarily work the actual cause for those symptoms is not addressed, and the dysfunction of the area intensifies and places pressure on the surrounding body systems and functions as the body tries to compensate. We would like to offer you a win-win solution to your pain relief from your auto injury but the repair and restoration of your long-term health by addressing the trauma directly at the cause. 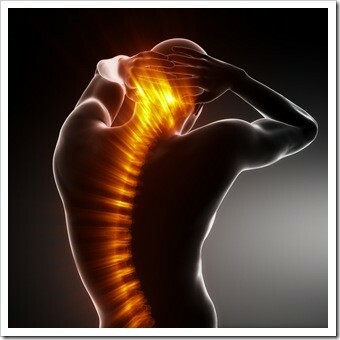 We are confident in our “treat it at the source” approach as in the case of headaches from a whiplash injury that the initial examination findings often reveal significant muscle spasms and pinching of the nerves in the upper part of the neck. In our office, patients who have been in an auto accident often find they have difficulty describing their complaints. They relate that they are now not able to communicate with others as well. A loss of words and lack of mental clarity are included in their description of how they feel. Most often this lack of mental clarity is caused by a concussion and can last weeks to months. As musculoskeletal specialists, we find that patients respond very well to chiropractic care. They often can feel 50-75% better after just a 3-6 week program of recommended chiropractic treatments including specific exercises to restore mobility and strength. Results include the reduction in neck pain and headache intensity. Of course, results vary patient to patient due to individual factors. The primary goal of the chiropractic physician is to achieve a reduction in symptoms and return the patient to a productive, functional lifestyle as quickly as possible. We sincerely appreciate the trust that our patients’ place in us when choosing our clinic to treat their problems associated with motor vehicle accidents and whiplash.